This book, you guys. This book. I’ve been staring at a blank page for a very long time before I managed to even start to piece my thoughts on it together. Before I begin to share my thoughts on, I should say that this book (and consequently this review) contain spoilers for the Grisha trilogy so if you want to maintain your ignorance on those, you should probably look away now. It also contains spoilers for Six of Crows/ Crooked Kingdom which I didn’t realise going in. 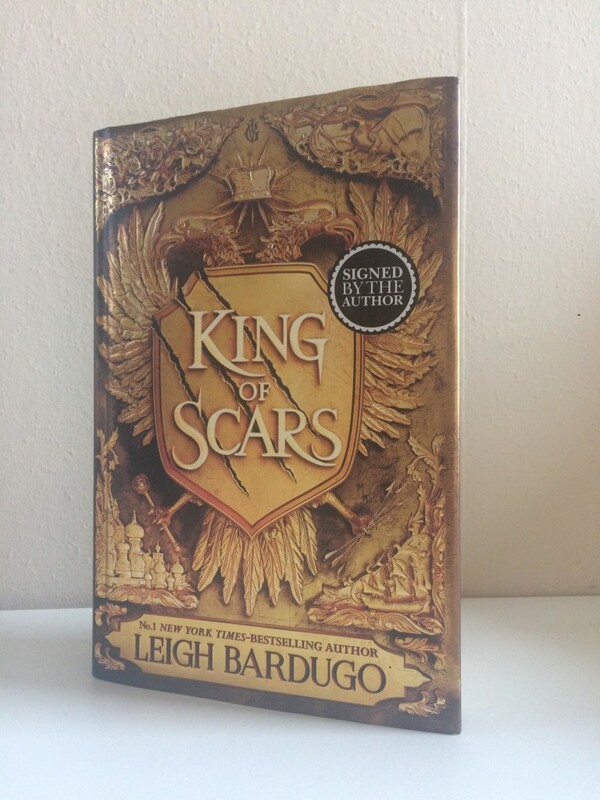 I actually still haven’t read Crooked Kingdom so I probably shouldn’t have read this yet but by the time I realised it was going to be a problem, I was already hooked on King of Scars. Now that that is out of the way, let’s discuss the book itself. King of Scars is the story of Nikolai, who has found himself on an unsettled and dangerous throne. His country is slowly recovering from the war that rocked it a few years ago but he is still haunted by his experiences. This for me was one of the most interesting parts of the book, as it was refreshing to see characters deal with the aftermath of the finale without a writer sweeping things out of sight for a happy-ever-after. I really relished the chance to meet some of my favourite characters again and to see how they had adapted to their new lives. It was also nice to see characters from both of the series that I have enjoyed come together in this story. This brings me onto the other thing that Leigh Bardugo does brilliantly: action. This is as jam-packed with twists and turns and daring feats as I have come to expect from her writing. I was hooked with this story and swept along in its sheer brilliance. It was also expertly balanced with emotional turmoil and handling of some pretty dark things to make this a book that packs a lot of punch. Without giving too much away, this is a big plot and a very brave one. I have a feeling it is going to be quite divisive but I really enjoyed it. It was a well framed insight into the wider world of Grisha and expanded the universe that Bardugo plays in. I can’t wait to see what she does with the space she has so expertly crafted for herself and her characters. For me, this is a very much a chance for things to get bigger and better with all things Grisha and I honestly cannot wait for that.